DES MOINES, Iowa, Oct. 2, 2018 /PRNewswire/ -- Regenexx Corporate, an interventional orthopedics network and pioneer in the invention of orthobiologics for orthopedic conditions, today announced the successful rebrand of S.E. PA Pain Management, Horsham, to Regenexx Philadelphia and Regenerative and Performance Specialists (RAPS), to Regenexx Pittsburgh. Employers are offering Regenexx treatments as an added benefit to give employees a choice in care while lowering the need for risky orthopedic surgery. Regenexx Philadelphia and Regenexx Pittsburgh now offer self-funded employers state-wide access to Regenexx procedures as an added benefit under their healthcare plans. Regenexx treatments are replacing nearly 70 percent of traditional orthopedic surgeries while providing employees a choice in orthopedic care where previously surgery was the only covered option. On average, an orthopedic surgery in the United States costs nearly $30,000, yet 58 percent of orthopedic surgeries completed are proven to be ineffective. A Regenexx procedure ranges from $1,800 to $8,000, with less risk and downtime than surgery. "Companies who partner with Regenexx have reduced costs by up to 80 percent annually which can equate to millions in savings," explained Jason Hellickson, CEO, at Regenexx. Employers who partner with Regenexx not only report a significant drop in the need for high risk orthopedic surgeries, they show less absenteeism and an enhanced benefits package. Dr. Paul Lieber, MD at Regenexx Pittsburgh sees Regenexx procedures as the key to curb opioid abuse while providing a faster procedure recovery time than surgery. "It's not uncommon for orthopedic surgery to require a month or more of highly addictive pain medication. I have patients walk out of their procedure with no more than Tylenol and return to work the next day," added Lieber. Dr. Sanjay Shah, MD, at Regenexx Philadelphia says becoming Regenexx certified and rebranding as a Regenexx clinic allows him to provide treatments and help patients in ways he previously couldn't. Shah said, "not only will these treatments improve corporate healthcare but the lasting results mean my patients will have an increased quality of life." 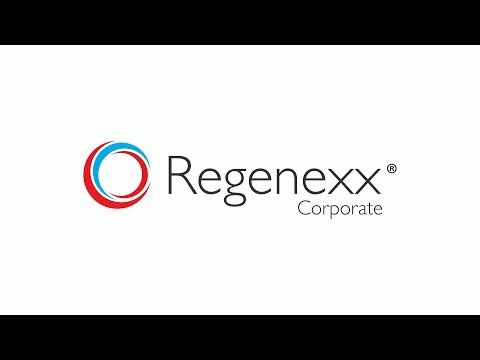 Regenexx® Procedures are the nation's most advanced non-surgical stem cell and blood platelet treatments for common joint injuries and degenerative joint conditions, such as osteoarthritis and avascular necrosis. Regenexx has published roughly half of the research world-wide on the use of stem cells for treating orthopedic injuries, and our patented treatment lab-processing and treatment protocols allow us to achieve unmatched results. Regenexx certified physicians and clinics serve a nationwide footprint with the same standard of care from coast to coast with over 120 locations projected by the end of 2019.